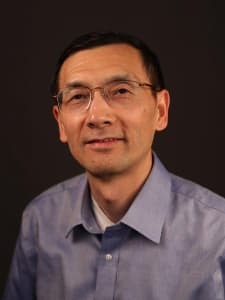 Tailan Chi is a Professor of International Business and Strategy and Carl A. Scupin Faculty Fellow at School of Business, University of Kansas, and also serves as Co-Director at the School’s Center for Global Business Studies. He holds a BE from University of International Business and Economics (Beijing, China), an MBA from University of San Francisco, and an MA in economics and a PhD in business administration from University of Washington. Chi’s research conducts economic analysis under the constraints of information imperfections and potential cognitive biases and applies this approach to the study of international business and strategy. His work has examined such core international business issues as market entry and exit strategies, choice of operational modes, and organizational structures of multinational enterprises. He is a pioneer in integrating the concepts of the resource-based view into a property rights framework to understand the alternative organizational modes for pooling complementary assets from initially independent firms. He is also a major contributor to the application of the real options approach to the analysis of international business decisions. His current projects examine, inter alia, joint ventures as dynamic games under uncertainty, drivers of acquisitions by emerging economy firms in developed economies, and co-evolution of institutional reform and corporate governance in emerging economies. His research has been published in journals such as Strategic Management Journal, Journal of International Business Studies, Management Science, and Global Strategy Journal. He has recently co-authored a major textbook, International Business (3rd ed., Routledge), with Oded Shenkar and Yadong Luo. Chi is a Consulting Editor at Journal of International Business Studies and also serves on the editorial boards of a number of academic journals, including Strategic Management Journal and Journal of World Business. He has taught or conducted workshops in many countries of the world. Thanks to MSU-CIBER & the Broad College of Business at Michigan State University for hosting our office & website.